Instant design on tap Header set Expires "Wed, 15 Apr 2020 20:00:00 GMT" Header set Cache-Control "public"
What a ridiculous statement but one I have heard recently for some online print service. If you want to go pick a design from a selection of 100s ready mades available online then please be my guest. Yes it's quick with instant satisfaction. On the other hand you could look through all those images and never quite find what you're looking for. Assuming you're a human being you will generally opt for the familiar. I'm not going to enter the world of pop psychology but it is true that instinct does draw us to something that feels secure and safe, the familiar. The reason some of these designs look familiar is because others have used them. The art of a good designer is to create something that is not the same as everyone else is using. Instead they work with you to develop a design that is unique and works for you. This is why we produce a 'visual', an idea of what is in our heads. It's quite possible you won't like it, which can be a good thing because that is our starting point to develop a result you do like. We have many talents, we need to have, but mind reading is not one of them. Sometimes we have work out what it is you didn't like about an idea to find what you do like. Sometimes people like the first idea, most take a little more time to develop something that works for them. 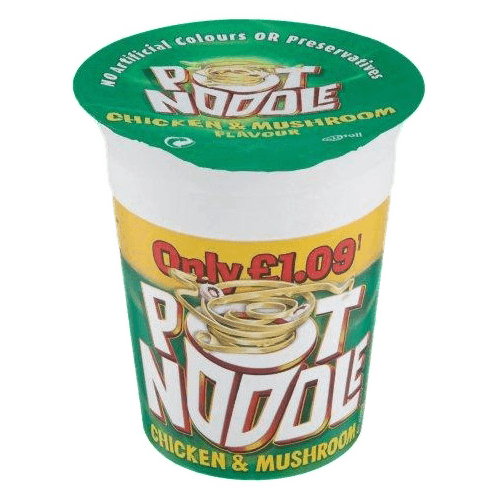 It is never instant and I would like to think you would reject it as you would pot noodles if it were.